New Zealand Prime Minister Jacinda Ardern (pictured above) was quick to take political action following the mass shooting last week in Christchurch. The United States should respond similarly to gun violence in America (Ulysse Bellier/Creative commons). In the wake of the devastating shooting at two New Zealand mosques on March 15, people around the world have offered prayers and continue to hope for gun reform. After the mass shooting that killed 50 people, New Zealand Prime Minister Jacinda Ardern announced on Thursday March 21 that the government will ban assault rifles, semi-automatic weapons and high capacity magazines, according to CNN. This extremely rapid and comprehensive response to gun violence is admirable and precisely the kind of action the United States should emulate. In 2019, there have been 62 mass shootings reported in the U.S., according to the Gun Violence Archive. In 2018, there were 340 mass shootings. That amounts to almost one every day of the year. While the shootings in the U.S. and New Zealand are equally horrific, the difference lies in the reaction to these incidents. Ardern has already drafted legislation to reform gun laws in New Zealand. The U.S. has not made nearly as much progress as this one woman has made in six days. A large topic of the gun control discussion is the Second Amendment, which allows the right to bear arms. Regardless of how the Constitution is interpreted, Americans must have a stronger discussion about gun control and which weapons should be owned by individuals. The Second Amendment does not need to be repealed. Other laws just need to strengthen what exactly it means. For example, one area of continual dispute surrounding gun reform is the regulation of assault-style rifles. These weapons have often been a choice for mass shooters such as the New Zealand mosque and Parkland, Fla. in 2018. In 2004, prior legislation that banned assault weapons expired and was not renewed by Congress but there was never a clear definition of what an assault weapon is, according to Insider. As more mass shootings occur, the discussion about assault rifles remains relevant. While there should be stricter rules regarding the sale and purchase of such weapons, if there is no clear outline of what should be banned, how do people expect change to occur? 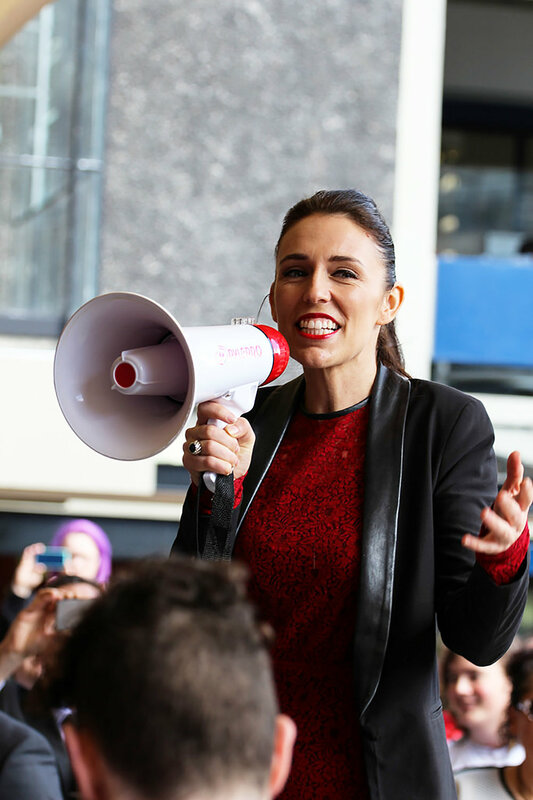 Although legislation for New Zealand’s new law has not been written, Ardern clearly defined the weapons she feels need to be banned, according to Insider. Even a step as small as this would assist the U.S. in preventing more mass shootings. A stronger stance on which weapons constitute as assault rifles would be a key piece of legislation for gun control advocates. Many people against such legislation would still be averse to limiting Constitutional rights, but unity among gun control activists would promote a healthier front to create change. Ardern has less pushback as opposed to the U.S. who faces challenges from the National Rifle Association, the civil rights organization standing in the way of real change, despite 67 percent of the population wanting a ban on assault weapons, according to The Washington Post. Still, there must be some sort of effort made for change. New Zealand is not standing idly by after this tragedy as the U.S. has done countless times. They’ve taken action and even if it’s not something everyone agrees with, it’s better than doing nothing. As shown throughout the many years of debates surrounding gun control, it is very difficult to challenge a system that is stacked against what more than half of the country wants. There will always be pushback, but it is how the people unify and act that will reveal the true strength of an argument for the ban of assault weapons. No one wants to witness more death. Stricter laws on weapons and quicker reaction times could prevent the next mass shooting.